In the last month and a half, the Ethereum network went through a rapid growth in usage, to the point that it now processes as many transactions per second as Bitcoin. To accommodate the increased load, which has on a few occasions reached the network’s full capacity for hours at a time, the community independently came together and miners voted to increase the gas limit to 6.7 million. We at the Foundation have been rapidly putting additional resources toward increasing the efficiency of the network, alongside planning longer-term changes that will greatly increase the network’s scalability. The Ethereum research team came together in Singapore and discussed various topics to do with Casper, sharding and Ethereum protocol economics. In May-June, the Mist team had a team meetup: for one week the team had face to face meetings, some members for the first time, in which we sat together to share details on projects we were working on and to talk about the current codebase and future roadmap. While we have a long list of features we are working on, we realized that most of the issues reported on github were related to two main issues: slow synchronization and lost account private keys/passwords. We outlined features that we could implement to help prevent user errors and other related issues, including more options for node switching (including Infura support) and better options for account management (including HD wallets and mnemonic seeds – but with a twist). Many of those new issues require some changes on how the signing process is done to make Mist more independent of Geth, which is being worked on as a standalone signer. We have also done some research on refactoring parts of the Mist codebase to make it more modular and easier to maintain. Victor Maia presented some research on how to make apps load quicker and be more reliable and we are currently testing some of these concepts as either pieces of the main codebase and/or an alternative web-based product. Progress has been made on ENS integration: we have added ENS support to our address component, meaning that any of the apps we have built in meteor (wallet and ens registrar app) will accept a name in any field where it would usually expect an ethereum address. We are also working on making a web component for generic input types for ethereum addresses, so any webapp developer can use an input field with support for ENS, checksum and ethereum identicons. With swarm now using the main net registrar, it also means that Mist will accept ENS addresses on the url as soon as the swarm branch is merged..
Swarm integration has been tested and is a lot more stable than it has been even a few weeks ago. We predict it will finally be ready to release soon. We have received several bounty submissions for vulnerabilities in EthereumJS, Solidity and Cpp-ethereum. See the leaderboard for the current stats. We now have pyethereum on board on the cross-client blackbox consensus testing in Hive, which continuously performs over 10K tests on each client. See http://hivetests.ethereum.org. As a lightweight alternative to Hive, we’ve also started a project to perform fuzz testing directly on the virtual machines, starting with Geth, Parity and Python. In the same vein, we’ve also set up an automated AFL-based fuzzing of Solidity. In preparation for Metropolis, a benchmarking suite for the Geth EVM has been implemented to ensure that the gas prices for new opcodes and precompiles are within reasonable bounds, so as to not constitute DoS-vectors at a later point. The “EVM 1.5” proposals are now EIP drafts for “Subroutines and Static Jumps for the EVM #615,” and “SIMD Operations for the EVM #616”. Discussion and critique are welcome at the https://github.com/ethereum/EIPs/issues/615https://github.com/ethereum/EIPs/issues/616 conversations. The ethereumJS team is still looking for community contributors Intro to Core Development with Ethereumjs-vm” has been released. New algorithms have been designed and implemented in order to improve log searching performance in the next version of the LES protocol. Promising R&D work has been done toward achieving quick and trustless initial syncing without hardcoded checkpoints. We have put some efforts into finalizing the topic discovery protocol, which helps clients to find suitable LES servers as it is currently a somewhat weak point in the experimental light client service. Remix now allows access to a shared folder from Remix IDE – https://remix.readthedocs.io/en/latest/tutorial_remixd_filesystem.htmlhttps://github.com/ethereum/browser-solidity/pull/604 – https://github.com/ethereum/remix/issues/520. The Contract and Debugger tab are going to be quite nicely improved. The progress in the eth-isabelle project was mostly from external contributions. In particular, the better separation logic tactics, which were externally contributed allow much shorter proofs about Ethereum contracts. Running Blockchain Tests (in progress; ecdsa recover implementation in OCaml wanted). The Solidity project has been quite active in the last months, although most of the updates is not yet directly visible on the user side. We saw a lot more engagement by the community and now have volunteers regularly contributing both to the core code as well documentation including translation, mainly into Spanish. We added a feature that allows export of the full abstract syntax tree with all type annotations, which makes it much easier to write tools that would otherwise need a custom-made parser. The next feature will be to also re-import this data after potential modifications, which would allow things like mutation testing. We extended the inline assembly language with structured elements (for, switch and functions) and deprecated manual jumps. This new inline assembly language will become a new intermediate language (together with type information), which allows Solidity to be more transparent in its compilation, more efficient (we will be able to add much more sophisticated optimizer routines) and more portable (it can already compile to EVM, EVM1.5 and some eWASM). We are currently rewriting the ABI encoder in this intermediate language which will include structs and nested dynamic objects. Finally, we are adding an automated compile-time overflow and assertion checkerbugfixes and smaller features. The swarm team has onboarded new members and held an in-person Swarm Summit in Berlin in June, 2017. The week-long event brought together Ethereum team members, community contributors andspecial guests representing projects and companies interested in swarm. More than twenty talks and tutorial sessions were recorded. The edited videos will be published soon on the swarm summit website. Our public alpha test saw a great community response allowing us to gather more information on prospective user base needs and what the typical usage patterns might be. The high churn of nodes requires an explicit distinction between nodes that can and cannot commit to being available for a longer period of time to provide sufficient storage and bandwidth resources for the network. To support noncommiting nodes and mobile clients, swarm will offer various light modes of operation. We have developed a suite of example applications highlighting the architectural and implementational peculiarities of Swarm-hosted distributed web applications that are quite a departure from the traditional client-server model. 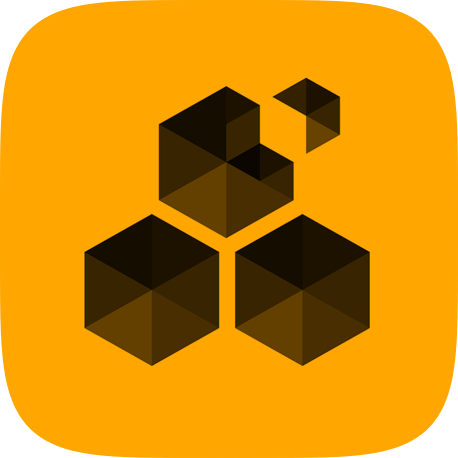 In particular, the building blocks of a distributed functional equivalent of dropbox are being developed, such as a web-interface providing a file-system view of swarm-hosted volumes, ENS integration, Mist-integration, FUSE mounting of swarm-volumes and privacy protections. We added a new protocol, pss (bzz whispered) allowing internode messaging with deterministic routing based on the relaying kademlia network topology of swarm. The protocol uses whisper envelopes and offers udp-like protocol communication between nodes that are not directly connected. Furthermore, we have developed a network testing and simulation framework in which we can model and benchmark a broad range of scenarios emerging from the interaction of a potentially large number of nodes. This framework includes both scripting and visualization capabilities. In cooperation with the Remix team, the implementation of a fully distributed integrated contract development environment is underway. The next major release, POC 0.3 is scheduled to come out around Metropolis and will include obfuscation support for plausible deniability, a rewrite of the swap peer-to-peer accounting for bandwidth incentivisation among other things. The transaction pool now tracks 'local' transactions based on sender address (#14737). Transactions sent by local addresses are exempt from gas pricing- and overall queue size limits. Docker images are smaller because consensus tests are no longer included (#14734, #14792). Extend RPC formatting error messages with field details to better describe the failure (#14686). Add Whisper v5 CLI flags to Geth and add a Whisper Go client library (#14540). Important notice to projects running public nodes (MyEtherWallet, Etherscan, Infura, etc): The sender address of any transaction submitted via RPC will be considered a local address, and all transactions from such addresses will be exempt of the gas price and pool size enforcement. To avoid DOS attacks due to the exemption algorithm, please run with --txpool.nolocals to disable special exemptions for local accounts. For other minor changes in this release, see the 1.6.7 milestone. Ethereum Foundation’s core developers meeting was streamed live on youtube. yesterday , July 14, 2017. Metropolis updates/EIPs. a. Any “subtleties” or questions we need to work out. -Split metropolis into 2 forks? Leave out EIP 86/208 in fork #1. b. Updates to testing. c. Details and implementations of EIPs. Determining gas prices for new opcodes & pre-compiles d. Review time estimate for testing/release. Delaying EIP 86 until Metro HF 2. The reasoning is that EIP 86 is a significant change to the underlying way accounts are created and recently there has been extensive discussion (summarized here) about the concerns and challenges of safely implementing it. At this point completing the analysis and testing of 86 would delay Metropolis further than necessary, especially considering that the other EIPs that are to be added are nearly all finalized, implemented in clients, and have tests developed for them. In short, no other EIP going into metro is reliant on EIP 86 so to make sure Metropolis as a whole goes smoothly we want to give ourselves plenty of time to evaluate the recently discussed issues surrounding EIP 86’s design. Parity team to supply benchmarks to compare with Martin’s geth ones. As explained by PoliticalDissidents, “It’s the difficulty bomb. Difficulty was programmed to increase exponentially beyond what is warranted to account for increasing hashrate. This means block time keeps getting longer and longer and doing so at an exponentially increasing rate. ‘Poised to overtake bitcoin this year, Ethereum is changing the way we think about cryptocurrency’ by Alex Tapscott. Bajaj Allianz deploys blockchain tech to hasten claims settlement. DevCon3 is now sold out. The Mauritian government is about to foster a ‘Silicon Corridor’. DJ RAC Releases Full-Length Album on Ujo Music Using the Ethereum Blockchain — Grammy-winning DJ RAC (aka André Allen Anjos) has released a full-length album, EGO, on the Ethereum blockchain through Ujo Music. You can buy the album on the Ujo website. Basic Attention Token (BAT) moved out of Slack. Grid+ — Grid+ leverages the Ethereum blockchain to give consumers direct access to wholesale energy markets. This allows customers to respond intelligently, which increases efficiency, decreases cost, and helps move us all to a cleaner future. Its Whitepaper is released on July 11, 2017. Graphene Operating System (GEOS) — a fully decentralised operating system for blockchain applications. Mattereum — Internet of Agreements infrastructure project. LocalEthereum — Ether’s local private marketplace. Orocrypt — When the Ethereum blockchain meets the precious metals. Decentraland — Moving towards a decentralized future. Ujo- A look under the hood. BAT Team is hiring Ethereum developers. EthereumCommonwealth is introducing a port of ENS and there is a bug bounty for Solidity experts. Corion BugHunt Bounty for solidity experts. Aventus ICO — July 19, 2017, released ICO participation guide. EY Blockchain Hackathon, Mumbai, India from July (28–30), 2017 Registration: Closes on Wednesday, July 26, 2017. Blockchain Competition 2017 , Zug, Switzerland from July (17–30) 2017. Ethereal SF on October 27, 2017 at Terra — Ethereal is coming to San Francisco. To get special access to early bird pricing — just fill out this form. Originally published at localhost on July 16, 2017. UPDATE (20/07/17, 00:26 CEST): Future multi-sig wallets created by versions of Parity are secure (Fix in the code is https://github.com/paritytech/parity/pull/6103https://etherscan.io/tx/0x5f0846ccef8946d47f85715b7eea8fb69d3a9b9ef2d2b8abcf83983fb8d94f5f). Ethereum (ETH) Release Wallet and Mist 0.9.0 "It's happening"
This release adds some anticipated features and also addresses important security improvements. IMPORTANT FOR DAPP DEVELOPERS! Read the notes below about changes in Mist's web3 object! It is now possible to navigate through the Swarm decentralized network with the bzz:// protocol. Every request lands on the Swarm node, which will search for the content through the p2p network and display your website/file of choice. Keep in mind that in order to use ens domains, your chain has to be synced, as it looks up to ENS resolver contracts. For more information about the project, head to bzz://theswarm.eth — after updating Mist, of course. Kudos to @zelig and Swarm team. From this version on Mist will not ship its own web3.js instance anymore. We only provide for now web3.currentProvider so you can connect to ethereum. In the future we will provide a special ethereum object with a default provider. In addition to Ropsten, you can now switch to the Rinkeby test network from the Develop menu. Rinkeby is also set as the default testnet, as it is much lighter to sync. See #2723. And if you want to create your own solo network for testing purposes (or in a workshop where you have a very poor internet connection) you can also do it directly via the Develop menu: it will create a local network just for your computer in which you can test, mine and publish local contracts. It will use the --dev flag on your geth node. From the Mist UI console (developer tools), you can use and control the web3 object. See (command line options)[https://github.com/ethereum/go-ethereum/wiki/Command-Line-Options]. #2723. You can write an ENS address on any address field on the Wallet, and the actual address represented by that name will appear when you click outside of the field. It will even double check the name and can redirect to preferred names, so if you type "ethereum" it will see that it points to the address of the ethereum foundation tipjar, which calls itself "ethereumfoundation". Accounts also do reverse name lookup: if any of your accounts, wallets or contracts have registered a reverse name lookup, then they will be shown the ENS name in your app. The meteor package containing this special input type is publicly available at Meteor Package [email protected], so you can use it on your Dapp today. Now it's easier than ever to watch Tokens and see your balances. By clicking on Contracts > Watch Token, the modal will appear and you can type the Token symbol. Instantly all the available details will appear and you just have to confirm. Refer to the Wallet 0.9.0 changelog for a more in-depth view of the changes. Context: It was my impression at the time that Slock.it helped conjure TheDAO in order to achieve a technological work around of securities laws. It’s not surprising that the SEC fired back and claimed jurisdiction. You could argue that a federal regulator showed admirable restraint in a new technological field, all things considered. Report affirms that the Howey test is the right way to look at tokens. Obviously some are securities, some are not. Duh. Fact finding report was rather weak on one of the Howey prongs (“Derived from the Managerial Efforts of Others”) which may also help explain the lack of enforcement action. Real talk: Bitcoin maximalist and ETC FUD over the last few years has claimed that the DAO fork happened because insiders would take losses on the DAO. That always seemed to be nonsense, as few ETH insiders appeared to hold substantial DAO tokens. The rumor at the time was that many people felt forking was necessary to avoid long and painful SEC enforcement actions. The report laid an expensive yet ambiguous regulatory burden on exchanges with American customers to avoid security tokens. Catch 22: to not be a security under Howey, a token should have utility value. But if American consumers can’t buy the tokens because exchanges are afraid to list tokens, then it’s tough for that token to be utilized. This report ensures that the US will continue to far further behind in web3. Jurisdictional competition is real, and so far regulators have not provided meaningful guidance as to how they will interpret the Howey test for token sales. The investigative report was quite reasonable, yet unfortunately some of the investor bulletin contained strong assumptionspay for Facebook ads for that investor bulletin?] Mixed messages. Status quo of ambiguity remains: a non-zero number of projects will continue to choose to move abroad and most token sales will bar Americans from participating. Only way to reverse that trend is for SEC/Congress to issue either a safe harbor or clear guidance on utility tokens. Bug had just a single code review when it was introduced. Timeline compiled by Bok KooEdgeless, then came back 13 hours later for SwarmCity and aeternity. 5 hours later, the WhiteHatGroup began safeguarding Ether and tokens worth ~$200m and finished in about 7 hours. How to get your value back from the WHGreturned most of it. Thank you WHG. But why didn’t the attacker take that $200m? It’s ridiculously easy to find a target list of vulnerably Parity multi-sigs by finding similar contracts, and the attacker had plenty of time. Presumably that attacker is sophisticated enough to realize how ridiculously harder it would be to hard fork than it was for the DAO. Perhaps the constraint was a byproduct of the DAO fork, but that seems unlikely. Attacker appears to have picked targets based on Parity’s logo. 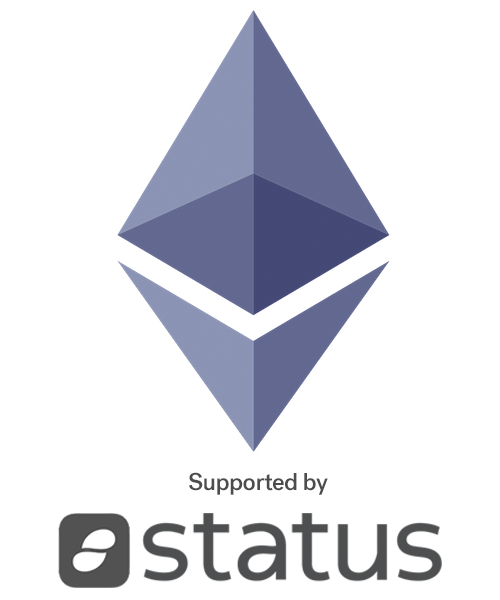 Edgeless, SwarmCity and aeternity all have logos similar to the infinity sympol. [Can’t find the tweet where I first saw this in order to cite it.] Parity’s logopost mortem. Emin Gün Sirer’s. CocoonTruebit retro website. They’re hiring. DetherNuCypher – decentralized key management? 0x at SF EthereumDecentraland’s Esteban Ordano. A look inside the Buenos Aires cryptohouse. Mi BsAs querido, cuando yo te vuelva a ver? Epicenter talks to Aviv Zohar & Yonatan Sompolinskysigned legislation allowing Delaware corps to use blockchains for record keeping, including the stock ledger. [email protected]_van_ness a message with 1) your URL, 2) sale date and 3) a brief description of how you are using Ethereum. Listings are free. But please make sure to follow those instructions. WARNING: list may include scams. Do your own research and due diligence before putting value at risk. I’m very excited about this move and will have significantly more to say in the future. The newsletters should become more regular again! 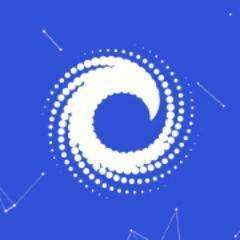 In the meantime, I wanted to make it clear so that you can judge whether I favor ConsenSys projects. My charge from Joe Lubin is pretty similar to what Status has told me: keep telling the truth and covering the space objectively, even if the truth hurts. This release contains several new features and bugfixes and also an important security fix: The ecrecover function can be forced to return invalid data, which can be used to bypass authentication in very special circumstances. C API (jsonCompiler): Export the license method. Code Generator: Optimise the fallback function, by removing a useless jump. Inline Assembly: Show useful error message if trying to access calldata variables. Inline Assembly: Support variable declaration without initial value (defaults to 0). Metadata: Only include files which were used to compile the given contract. Type Checker: Disallow value transfers to contracts without a payable fallback function. Type Checker: Include types in explicit conversion error message. Type Checker: Raise proper error for arrays too large for ABI encoding. Type checker: Warn if using this in a constructor. Type checker: Warn when existing symbols, including builtins, are overwritten. Code Generator: Properly clear return memory area for ecrecover. Type Checker: Fix crash for some assignment to non-lvalue. Type Checker: Fix invalid "specify storage keyword" warning for reference members of structs. Type Checker: Mark modifiers as internal. Type Checker: Re-allow multiple mentions of the same modifier per function. Antonio Tenerio-Fornés, benjaminion, Federico Bond, Harry Wright, hh3755, James Ray, Juaj Bednar, Luke Schoen, Loa Arias, maurelian, Nathan Hernandez, NIC619, Rhett Aultman, Skiral Inc and VoR0220. If you want to perform a source build, please only use solidity_0.4.14.tar.gz and not the zip provided by github directly. Server location is Amsterdam and is our own server and network. Soon we will launch Ξthereum Classic also. For now the pool fee is 0.25%. We could start with 0% but we decided to keep it low, but keep it. Give us a try and give your honest opinion and maybe suggestions! Happy mining, together we can find blocks! Byzantium fork support for Ropsten and Foundation networks. Added support for the Gnosis and ConsenSys multi-signature wallets. Significantly increased token registry and token balance lookup performance. Fixed issues with the health status indicator in the wallet. Tweaked warp-sync to quickly catch up with chains fallen back more than 10,000 blocks. Fixes to the Chrome extension and macOS installer upgrades. Full list of included changes can be found in CHANGELOG.md. As we are getting closer to the next breaking release, we want to give everyone a heads up by introducing pragma experimental "v0.5.0" which already enables some of the new safety features of the 0.5.0 release. Furthermore, this release finally checks the modifiers view (used to be named constant) and pure on functions. As a rule of thumb, use view if your function does not modify storage and pure if it does not even read any state information - but the compiler will also suggest the tightest restriction itself. We also worked further on the new ABI encoder: Functions can now return structs. Switch it on using pragma experimental ABIEncoderV2. It should already work, but still generates more expensive code. Finally, many new warnings were introduced and error messages improved. Assembly Parser: Support multiple assignment (x, y := f()). Code Generator: Keep a single copy of encoding functions when using the experimental "ABIEncoderV2". Code Generator: Partial support for passing structs as arguments and return parameters (requires pragma experimental ABIEncoderV2; for now). General: Support pragma experimental "v0.5.0"; to activate upcoming breaking changes. General: Added .selector member on external function types to retrieve their signature. Optimizer: Add new optimization step to remove unused JUMPDESTs. Static Analyzer: Warn when using deprecated builtins sha3 and suicide (replaced by keccak256 and selfdestruct, introduced in 0.4.2 and 0.2.0, respectively). Syntax Checker: Warn if no visibility is specified on contract functions. Type Checker: Display helpful warning for unused function arguments/return parameters. Type Checker: Do not show the same error multiple times for events. Type Checker: Greatly reduce the number of duplicate errors shown for duplicate constructors and functions. Type Checker: Warn on using literals as tight packing parameters in keccak256, sha3, sha256 and ripemd160. Type Checker: Enforce view and pure. Type Checker: Enforce view / constant with error as experimental 0.5.0 feature. Type Checker: Enforce fallback functions to be external as experimental 0.5.0 feature. ABI JSON: Include all overloaded events. Parser: Crash fix related to parseTypeName. Type Checker: Allow constant byte arrays. If you want to perform a source build, please only use solidity_0.4.17.tar.gz and not the zip provided by github directly. This release contains a security fix. Updating Mist is highly recommended. If you want to keep using an older Mist version, you mustn't visit untrusted websites. Refer to Electron 1.7.8 release notes for more info. 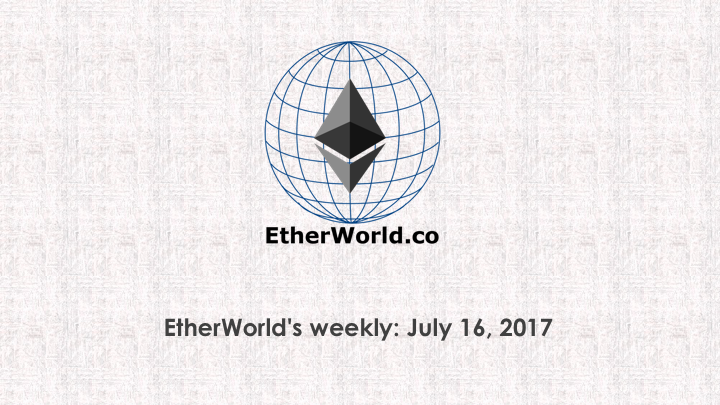 Ethereum Wallet users are not affected by the vulnerability. Thanks to Yoonho Kim for reporting via the Ethereum bug bounty program. The long-awaited Light Client integration has come, in its own beta version. Syncing time decreased by an order of magnitude, compared to running a full node. As Geth 1.7.x uses LES protocol v1, you'll notice log retrieval takes more time than usual. The good news is v2 is coming to ease that. We'll keep you posted. In order to enable it, head to Develop > Use Light Client menu. This is a maintenance release that fixes regressions in the 1.7.0 release. This release enables the Byzantium hard fork transition at block number 4370000 (~17th October) on the mainnet and block number 1035301 (~9th October) on the Rinkeby test network. Please update well before these dates to ensure a smooth transition. ethclient: The new TransactionSender method can be used to derive the sender address of a transaction at the time of inclusion. (#15127). For a full rundown of changes, please see the v1.7.1 milestone. Fixes an issue in framing configuration. It might cause inability to accept devp2p packets from EthereumJ peers. We at Ucrypto.net would like to welcome all miners to our newly launched Ethereum Pool. mining with us you will appreciate the difference as have we. There are daily payouts and with your help we can build a presence on the network and increase our profits together. We offer a referral program. There is live chat available for support.